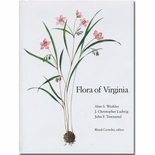 Virginia in Maps traces the discovery, settlement, expansion, and growth of the commonwealth from the Native American world first encountered by European explorers and expansionists to the urban, modern state closely connected to national and international economies. The first comprehensive atlas of its type, Virginia in Maps provides full-color reproductions of 187 of the most important maps of the colony and the state, presenting many in multiple plates to enhance readability. Augmented by five lively and well-illustrated essays written by leading cartographic scholars, the atlas is an essential reference work and educational tool for libraries and schools. For all readers, Virginia in Maps provides an entertaining and visually stunning chronicle of the mapping of a quintessentially American place. Hardcover, 337 pages, 187 maps. As Jefferson traveled through Europe, he collected maps and integrated them into his notes in his travel log. 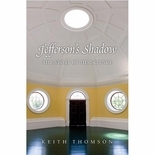 He advised other travelers to �buy beforehand a map of the country you are going into.� In April 1791 Jefferson lent his collection of city plans to Pierre Charles L�Enfant to aid in his planning of the federal city of Washington D.C.